One of my New Year's resolutions this year was to do more crafty activities with Cohen. Now, let me add that my creative side is well, definitely not comparable to Martha Stewart by all means. But I wanted to have Cohen make his grandparents a little Valentine to send to them this year. So we decided to start simple, especially since this was our first craft. I cut out paper hearts from pink construction paper. Then, I wrote in black marker a simple message in the middle of the heart. After that, I let Cohen go to town! I recently received several crafting materials from CraftProjectIdeas.com and I knew these were the perfect additions to our Valentine's cards. 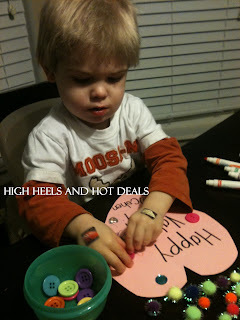 I put several plastic buttons in a bowl along with glitter poms and stick on jewels that I put on his mat. We practiced using the bottle of glue and then I let him get to work. He was seriously into this project for a good thirty minutes. Yes folks, you heard me correctly. My wild child sat contently for thirty minutes. This face is too much. Seriously, this was the most fun project yet! 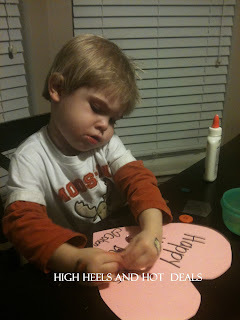 I'm definitely going to be using CraftProjectIdeas.com to plan weekly crafts for him, especially this summer. What is great about this site is the search box you can use to search for projects based on age, themes or even materials. 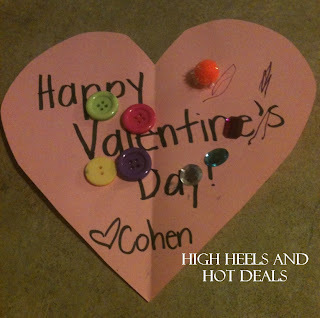 I can make sure that the crafts I choose for Cohen are age appropriate as well as ensure I have all of the materials I need to make the craft together. 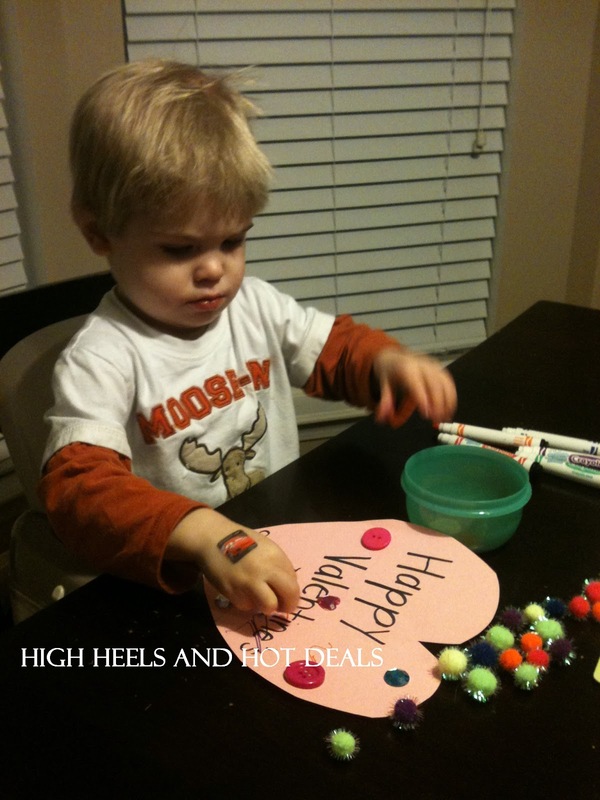 CraftProjectIdeas.com has a variety of craft materials you can purchase too so it makes the crafting process easy and painless, especially for the craft amateur like myself! I'm excited that I finally got started on another one of my New Year's resolutions for Cohen. We had so much fun creating our Valentine's together and I can't wait to craft even more. I just need to learn to breath and remember he's a boy and it's okay to get down and dirty-- that's what Tide is for, right? 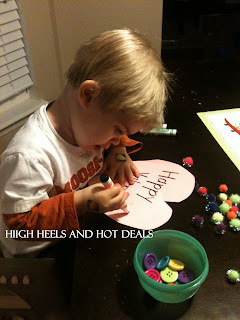 To check out some great crafting ideas for your kiddos, check out CraftProjectIdeas.com. You can also follow them on Twitter, Facebook, Pinterest and YouTube. This product review was made possible by CraftProjectIdeas.com. I was not compensated for this review other than a product sample. All opinions are 100% mine.